Russian pre-reservations for Greece are up by 10%, according to the office of the Greek National Tourism Organisation (GNTO) in Moscow. Crete’s pavilion was a focal point at 26th International Tourism Fair Mitt 2019 in Russia, the largest annual tourist event for Eastern Europe. The three-day exhibition was attended by more than 22,000 people who had the opportunity to learn about Crete through printed material as well as to savor local dishes and to experience Cretan hospitality. Crete for Russian tourists is a cultural and historical destination 365 days a year and is in line with the GNTO’s “tourism all year round” strategy. 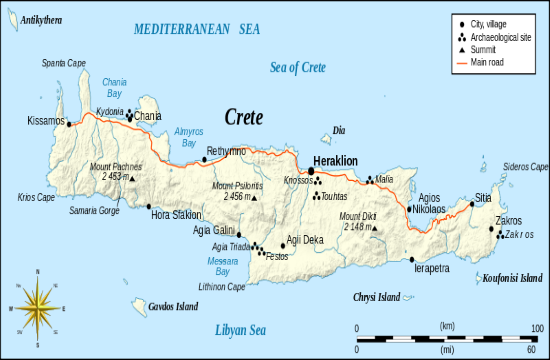 The Region of Crete was represented by Kyriakos Kotsoglou, Deputy Chief of Administration and E-Governance of the Region of Crete, Maria Lavdaki, Regional Officer of Lassithi Tourism and the Regional Unity of Rethymno, Georgios Pantazis, as well as the tourist guide (in Russian) Stamatis Patelaros. The high level of exposure for the pavilion of the Region of Crete shows the rising interest Crete is drawing as one of the most popular destinations for Russian travellers. Greek Minister of Tourism Elena Kountoura, journalists from major international media, representatives of tourist agencies from mainland Greece e.a. visited the kiosk of the Region of Crete.